Lettuce, tomato, cucumber, ham, egg and cheese. Fried chicken, lettuce, tomato, cucumber, egg, bacon and cheese. 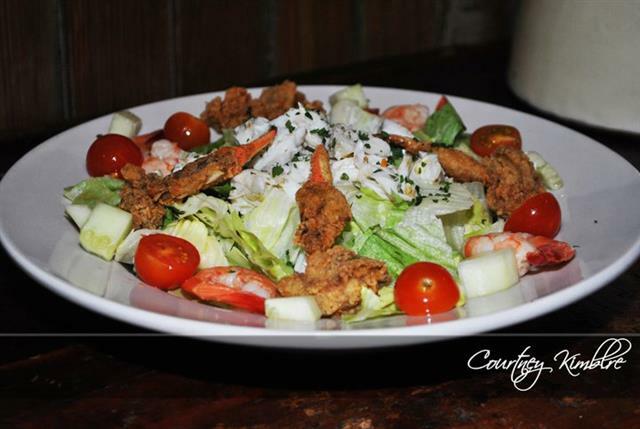 Your choice of crawfish, shrimp or oyster, lettuce, tomatoes, cucumber, egg and cheese. With grilled mushroom, onions and bell pepper. Boiled shrimp, fried oyster, fried crab fingers, lump crab meat, on a bed of lettuce with cucumber and tomatoes. Lettuce, tomato, cucumber and cheese.